Summer is off to a bang with the recent heat wave. 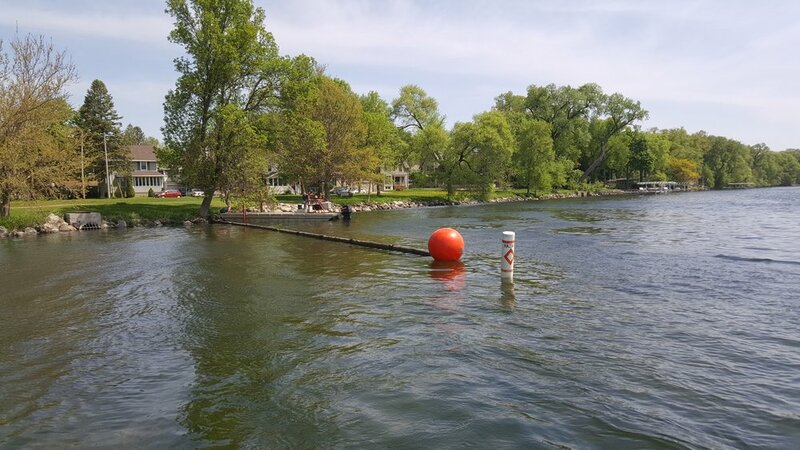 If you spent some time in Yahara Place Park, you might have noticed a large red floating sphere in the water by Yahara Place and Schurz Ave. This is part of the Clean Shoreline Pilot project. As we work to clean up our lakes, we need to take an all-of-the-above approach. This pilot project attempts to collect garbage and debris that accumulates with a floating boom. The detritus is then picked up by a barge and either taken to the landfill or sent to a sanitary sewer. The project is on track to be completed this summer. The boom will be monitored for collection as debris accumulates and you can always contact me with any issues or questions. There will also be signage posted with a number for neighbors to call if there are issues. Thanks to Land and Water Resources Department staff, particularly John Reimer, for their work on this project. Updates are being made to accommodate "Transient and Tourist Lodging" (a Bed and Breakfast, for example) and "Incidental Room Rental" (AirBnB, for example) among other changes. For our neighbors in Blooming Grove, Dane County Zoning will likely be a moot point as the Town is likely to be annexed into Madison before these zoning changes take effect. There will be a community meeting on June 6th at 6:30 at the Blooming Grove Town Hall to discuss zoning changes. If you have any questions, please feel free to reach out to me or Zoning staff. Big thanks to Brian Standing for all his help in understanding the zoning changes. Yogesh with dad, mom and daughter. I was fortunate enough to address my colleagues on the Dane County Board floor on May 17th. I wanted to talk about the contributions that immigrants and first-generation Americans make to our great country. I used my first paycheck from County Board to purchase a high quality digital audio recorder. I have started to record standing committee meetings that I sit on and meetings that I attend. I believe this is not only good for transparency and open government but it is also an opportunity to highlight the work being done by County Board. It also illustrates the challenges we have as we tackle some of our most pressing issues. I still have work to do to improve the audio quality and intend to use a low cut filter to cut out background hum and an auto gain feature to capture the volume better. I think presentations like this are important to make available to the general public, subject matter experts and elected officials at all levels of government.